On Thursday, the newly-appointed Duchess of Sussex made her first appearance for a royal engagement without he husband, Prince Harry. Meghan Markle accompanied Queen Elizabeth II in Cheshire and wore a pair of dazzling earrings that the Queen herself reportedly gifted to her. They even look like a smaller version of the ones that the monarch is wearing, with pearls and diamonds. Meghan paired her earrings perfectly with an eggshell-colored Givenchy dress with a black belt. According to the Buckingham Palace, the Queen indeed gave the earrings to Markle. 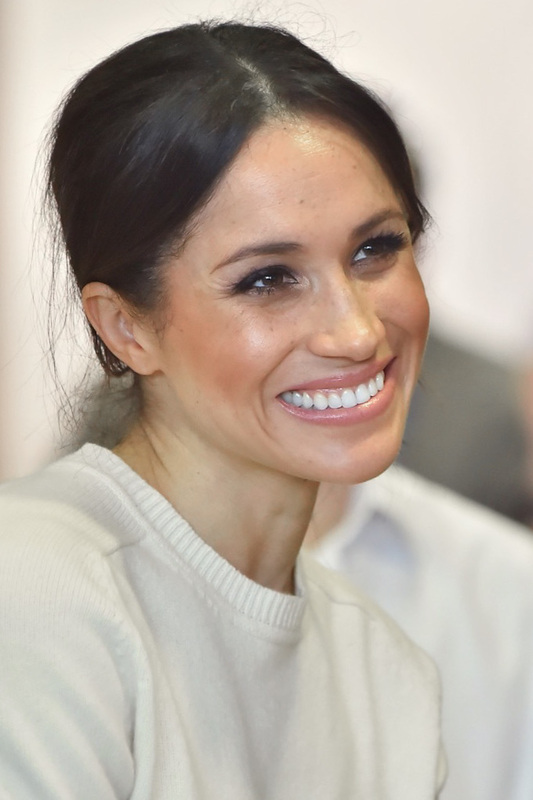 However, at the moment, nobody is sure whether or not they are from her own personal collection or if she bought them especially for the Duchess of Sussex. Experts have already said that the personal touch that the Queen and Meghan shared at the appearance was indicative of their beautiful relationship. The Queen gave a present to her new granddaughter-in-law because she most likely wants to strengthen the bond between them. According to some experts’ opinion, these earrings came from the Queen’s personal collection and they mean something for both of them now. Meghan will surely treasure these earrings for her entire life and they will hold a special place in her collection. However, this is now the first time that the Queen gave Meghan something from her personal jewelry collection. For her and Prince Harry’s wedding on May 19, Her Majesty loaned Meghan the Queen Mary’s Diamond Bandeau tiara, which she wore as a bride. For this recent royal appointment, Meghan also sported some black pumps and a black clutch. She looked timeless, according to experts, and most likely, we are going to see this look numerous times over the years. Megan also didn’t wear a hat for her outing with the Queen, which is mandatory for women of the Royal Family. However, this was most likely not a mistake but a sign that the entire Royal Family is starting to become more modern.